Did you wake up this morning feeling tired, bloated, foggy, sluggish, fat, and just all-around terrible? Welcome to the day after Christmas—and the consequences of eating too much food and sugar. Drink water—lots of water. Drink a full glass as soon as you get up (or read this), and keep drinking until you reach your eight glasses a day (at least). Eat a high protein breakfast. What’s good? Scrambled egg whites with veggies, an egg white omelet, protein pancakes, etc. Stay away from sugars, refined, simple carbohydrates (crackers, cookies, white breads, pasta, rice, etc.) and starchy foods for as long as you need to feel stronger (two days? A week?). Eat smaller meals, and make them high in protein. Eat often throughout the day to keep your blood sugar balanced. Don’t go hungry. 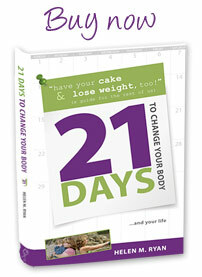 Have you ever noticed that a day or two after an “overeating spree” you are starving all day? Fill up on light soups and lots of vegetables—as much and as many as you can. Trade in your latte for some green tea. Even a little bit of sweetness can trigger you to delve back into your stocking or raid the left over dessert). Exercise. Preferably a longer session with some high intensity intervals in between, but if you don’t have much time, do some shorter bursts throughout the day and move as much as you can. Set an online timer (or app) and do 20 seconds of a hard interval with a 10 second break, four times through, several times a day (that’s only 2 minutes of your time each round). Hang in there. Don’t weaken. In a couple of days you will feel better and stronger. Just don’t continue to eat a lot of low-nutrition foods. Every day truly does count when it comes to your health and every set back with dieting makes you feel weaker and less capable. You can do this. Trust me. Do you have any special tips to share? 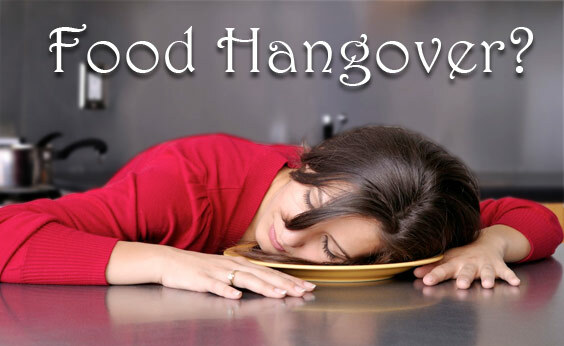 What do you do to cure the “sugar/food” hangover?